Demographic and firmographic information can only get you so far. With our integration, you can score and route leads to sales based on their technology choices. Alert reps when leads add or drop a specific technology so they can reach out to decision makers at exactly the right time. This integration requires both Datanyze and HubSpot. Learn more. Businesses are constantly changing. Your data should change too. 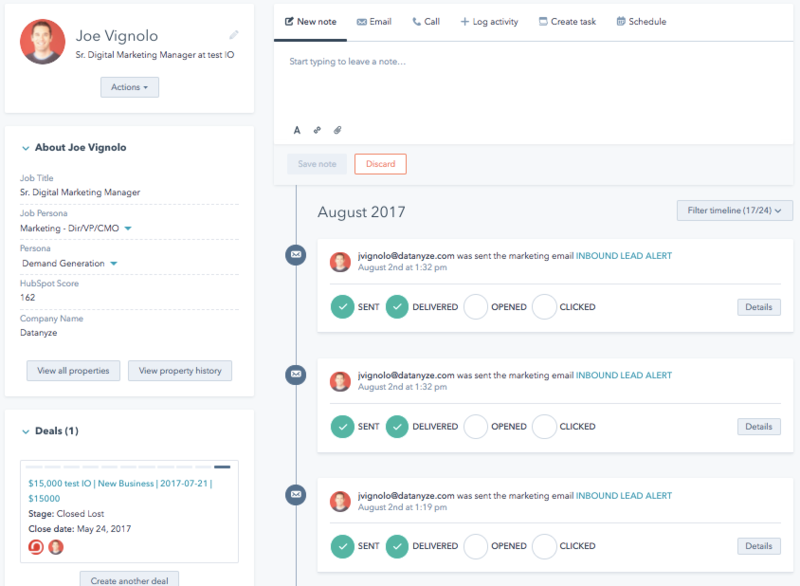 Enrich your HubSpot instance with up-to-date lead and account information that changes when your prospects change so that you always have accurate snapshot of what's going on.